Army recruiter Sgt. 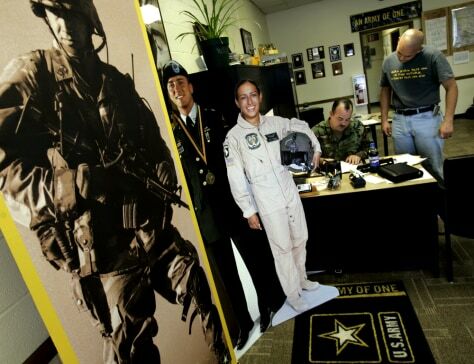 Erik Kuerst goes over paperwork with recruit Robert Farris, right, at the Army Career Center in Sedalia, Mo. earlier this year. The decision to switch ad agencies had nothing to do with the Army missed its recruiting target for the budget year ended Sept. 30, a spokesman says.